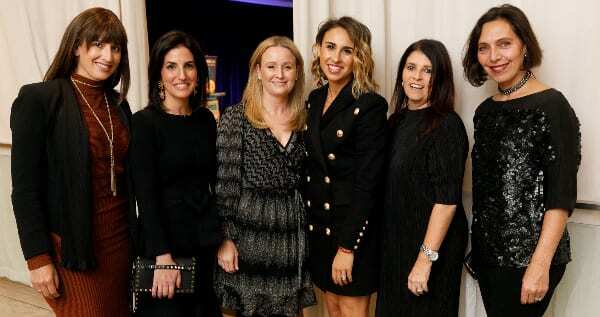 Jewish Care Victoria has hosted 400 supporters at its 2017 Annual Appeal Dinner. The audience at Leonda by the Yarra, enjoyed an evening of heartfelt personal stories and musical entertainment, with Annual Appeal Dinner Committee Member Georgia Danos as Master of Ceremonies. Shannyn Gelbart, Moshe Fried, Dov Farkas. The evening commenced with the Australian and Israeli anthems being sung by Gary Smorgon House resident Moshe Fried and past Young Achievers Program participant Shannyn Gelbart, accompanied by Chazan Dov Farkas playing the piano. To commemorate Yom Yerushalayim, Moshe and Dov sang ‘Yerushalayim Shel Zahav’, and the audience sang ‘Happy Birthday’ to celebrate Moshe’s 97th birthday. Guest speaker, Sandi Gabriel addressed the audience about her daughter, Samantha living with disability who has benefited from using Jewish Care’s respite services, and how their family has been supported through other Jewish Care services for almost 20 years. Erin Herr, Rachael Apfelbaum, Mariya Golkhman, Sonia Morris. The room was treated to a unique home-grown drumming performance from an ensemble of Young Achievers Program participants, Montefiore Homes residents and Manders Villas residents. 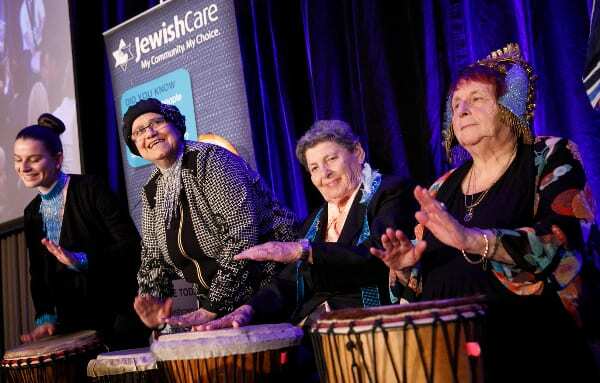 Jewish Care is aiming to raise $3 million for its programs and services that receive little or no government funding. David Slade gave a personal final address, urging supporters – particularly the younger generation to continue the tradition of giving that their grandparents started.